This November 2018 will be The Big Learner Relay’s 5th year. 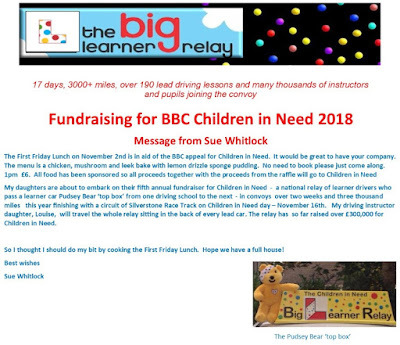 In that time it has become a significant and important fundraiser for Children in Need and is the brainchild and organised by Louise Walsh, a Milford on Sea resident. Please see below on how you can enjoy a lunch and get involved for just £6.